By all accounts, The Flash has been a tremendous success for The CW. As the second season of the DC Comics adventure wraps up, fans are more on board with the show than ever. And a lot of credit is owed to Grant Gustin and his portrayal of Barry Allen. When The Flash movie was announced, many assumed and hoped that Warner Bros. would at least give Gustin a shot at the role. But that didn't come to pass. As it stands, Ezra Miller will be playing the character in the film, which is set for a 2018 release. As it turns out, fans aren't the only ones who are upset about this. In a recent interview on the Puck Soup Podcast on Nerdist.com, Tom Cavanagh, who plays Dr. Harrison Wells on The Flash, voiced his disapproval of the decision by Warner Bros to overlook Gustin for the role. DC and Warner Bros. have made it very clear that they are planning to keep their TV and movie universes totally separate from one another. When the subject of the DC movies came up, Cavanagh had a lot to say, and felt confident that Gustin could have easily portrayed the character on the big screen. "Here's what I'll say about him not being The Flash. The first thing is that for Zack Snyder to say 'that's not really the universe that we're building,' it's excruciating for an actor. Because you're like, 'Uh, what about acting?' He's a clean-cut guy and winning, yes, because he's acting that. He's not Barry Allen. He's Grant Gustin. He created that thing. If you want [your Flash] to have long hair and be a slacker, believe me, Grant can play that. He makes it look easy and makes everything think that's what he is because he's an incredibly skilled talent. That's why he has that job. That's why people like the show." Batman V Superman: Dawn of Justice was only one example of what is to come in the Warner Bros. DC Comics film universe, but the fact of the matter is that it was a very dark and tonally polar opposite film from what fans have come to expect from the TV side of things. The lack of levity was also one of the major complaints about the film from both fans and critics, which is something many feel Marvel Studios is doing better at this point. Justice League director Zack Snyder has addressed the decision to not look at Gustin for the role, saying that he simply didn't fit the tone of what they were trying to accomplish on the movie side of things. That argument didn't sit well with Cavanagh either though, and he had some fairly harsh words for Snyder about it. "If Zack Snyder were to read him for The Flash, he would be shocked. It's crazy for a big-time Hollywood director to say 'that's not the universe.' It's a huge misstep on his part. If you're a director, and you're worth your oats, then you should be able to, given an actor with talent, mold him into what you want, and Grant could do that." Warner Bros. has not at all been dismissive of the fairly poor reaction to BvS, as the film didn't gross nearly what the executives had hoped for. As a result, the executives have sort of shifted around within the studio and now comic book writer turned producer Geoff Johns will be overseeing the DC Comics movie universe for the studio going forward. With all of the shifting around and the studio seeming to be very in tune with what fans are saying, even if the studio did have a change of heart at this point and wanted to give Gustin a shot, they can't. Miller already made a brief cameo appearance in BvS and has been filming for Justice League. Right or wrong, the studio is firmly dug in with their plans and they have to make the best of it. 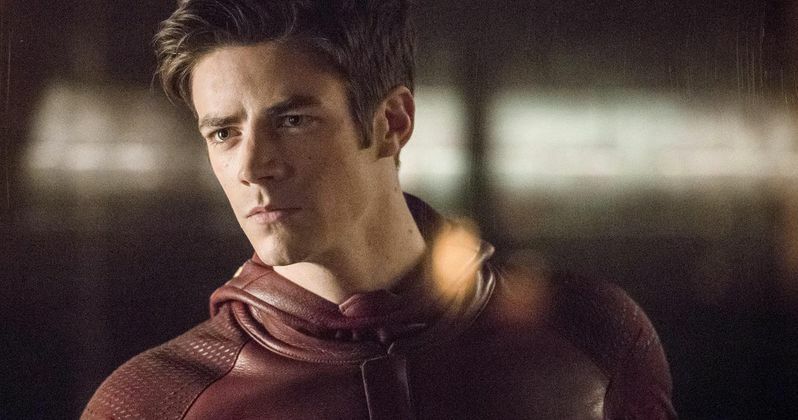 The Flash will be returning to The CW for season 3 in October on Tuesdays at 8 p.m., though no official season premiere date has been announced. Barry Allen will also be joined on The CW this fall by Supergirl, who will be moving to the network for season 2. As of right now Miller's version of the character is set to appear in Justice League next year with The Flash solo film set for release on March 16, 2018.